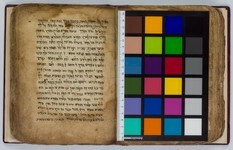 Zürich, Braginsky Collection, B103: Midrash Hemdat Yamim (Kommentar „Angenehme Tage“ zum Pentateuch) (http://www.e-codices.ch/de/list/one/bc/b-0103). “Of him great deeds and wonders and miraculous and amazing acts are related that he did for Israel and against the mighty and cruel kings that tormented and did evil with Israel in his days, for in his days they exiled the Jews in San’a.” Reference is made here by the well-known traveler Jacob Saphir of Vilna (1822–1855) to the greatest of Yemenite Jewish poets, Shalom Shabazi. Little reliable information about Shabazi’s life is available. What is known comes from his own works, some 550 poems and a few other texts. Among these is his homiletical commentary on the Pentateuch, of which this Braginsky manuscript is an early example. Many legends about the national poet existed among the Jews of Yemen. During his lifetime the political situation for the Jews of Yemen was one of great turmoil, persecution, and messianic anticipation. Shabazi invested his poetry, written in a popular, relatively accessible style, with feelings of hope and redemption. Shlomo Zucker, in an unpublished description kept with the manuscript, identified the Braginsky manuscript of Shabazi’s commentary as an autograph of the author on the basis of careful comparison with a number of signed manuscripts, notably two manuscripts in the National Library of Israel, a Mishneh Torah fragment (Heb. Ms. 8° 6570) and a ikhlal of 1677 (Yah. Heb. 152). The text of the manuscript, containing the commentary on Genesis 37–Deuteronomy 31, differs from other known versions of the commentary, some of them autographs as well. This indicates that Shabazi, like so many other Jewish authors, considered his commentary a work in progress rather than a final composition. During his lifetime he must have made copies of different versions of his work. The dating of the Braginsky manuscript is based on a statement by Shabazi in a later version of the commentary, published in Jerusalem in 1983 on the basis of a manuscript from 1672, in which he noted that he finished an earlier version of the commentary in 1646. The Braginsky volume, from which the beginning of Exodus 21 is shown here, may well be the earliest version of the commentary. A Journey through Jewish Worlds. Highlights from the Braginsky collection of Hebrew manuscripts and printed books, hrsg. E. M. Cohen, S. L. Mintz, E. G. L. Schrijver, Amsterdam, 2009, p. 96. A Journey through Jewish Worlds. 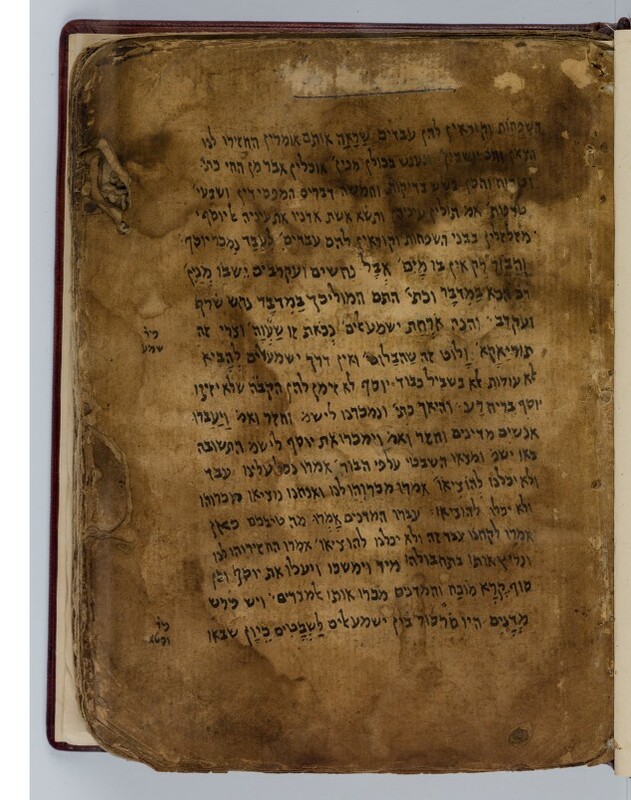 Highlights from the Braginsky collection of Hebrew manuscripts and printed books, hrsg. E. M. Cohen, S. L. Mintz, E. G. L. Schrijver, Amsterdam, 2009, p. 96-97.